Is your inner truth becoming too loud to ignore? Join me as a cherished and vital pioneer on this EXCLUSIVE life-changing journey, where you will take the leap into living your most enchanting and purposeful life. We will dive deep into your soul and unearth your courage. You will stand in your own light and live your truth. We will unleash your feminine power and free the soulful woman you came here to be. You want sustainable life-long joy and magic. This is the place where you will discover it. Now is the time to walk into the fire and be reborn. You are committed to your spiritual journey. Your emotional intelligence is just one of your extraordinary gifts, and your intuition is calling. You are waking up to the life that you have created and wondering whether it’s really what you want. Is it really enough? You’re aware that your body is changing gears – that it can’t sustain the same pace in the same way it did in your twenties and thirties. Tempers fly. A wild woman inside of you is waking up. And she’s scary. She wants to rage at injustice, put her foot down, say “No”, “Enough”. She wants to change the world. She’s a magician, an enchantress, a witch. The land is shifting beneath your feet – there is no longer any choice – you HAVE to make time for you or you will break. Whilst you have had your heart cracked open before, this time it’s different; bigger, deeper, more frightening. The Universe has reached out a hand and opened the door to the closet in which all your skeletons are hidden. She is inviting you on a journey to heal and reclaim those lost parts of yourself. A journey to disinter your gifts from the ashes and claim your calling. Will you accept her invitation? Will you walk into the fire? I understand that you are afraid…afraid of deeply upsetting your relationships, your marriage, neglecting your children, your responsibilities. You are afraid to risk everything you hold dear. And whilst you fantasize about running away, the pain inside that is calling you is too much to bear. You are afraid of being ostracized, cast out, rejected on every level. This is no surprise. Thousands of years of history have taught us that women in their power are to be feared, labelled as crazy and burned. Especially if they possess the gift of healing. I have this gift, as do you. You’re bright enough to know that sometimes you have to follow your heart and do what you know is right for you. I know that this can seem hard to do, especially when it goes against lifelong patterns of behaviour. Yet as long as you have resistance around this, it will show up in how your loved ones receive the news of your decisions. Those closest to us always mirror our inner world back at us. So I ask you to trust that as you work through your resistance, like magic your relationships will transform. You need to respect yourself and your own needs before you can ask that of anyone else. Sometimes you just have to take the leap of faith and trust in your calling, as in doing so, you give others the permission to do the same. And when your beliefs around lack of time keep you stuck, when you tell yourself you are selfish to take time for yourself, know this. The work I do asks “is this true?” and the answer is always “no”. This is vitally important soul work that will change your life for ever. We all have time to do the things we choose to do – it’s just about priorities. Everyone, including me, can find the time to browse through Facebook or watch TV. There is always time. Give your time to that which matters most. As you go deep into yourself, I know you can feel that from your soul’s perspective this moment in your life is an emergency. Just as you would find time to stop everything to find that emergency plumber so with this you can choose to do the same. After all, wouldn’t you want to model to your children the behaviour you would like them to exhibit as adults? You can teach them how to take care of their own needs by taking care of yours. You can combine your own fully expressed life and space for them. It is possible. It’s just not “normal” in our culture. Make it normal. BE the pioneer. You are afraid that if you refuse this midlife invitation you plant an intention for your calling to elude you for the rest of your life. Whilst you have done a lot of inner work already, the things that have healed, helped and supported you in the past are no longer enough. You feel you are at risk of getting sucked under by the sheer volume of your emotional pain, of giving up. You could choose not to answer this call of your soul, to remain where you are, to stay safe at home by the fire rather than walking through the flames, but what would be the cost? Deep within, you know that what you plant now will sustain you for the rest of your life. That you ignore it at your peril. You look around you at others on a more mainstream path than yours and know that you don’t want to choose that for yourself. You don’t want to numb this pain inside you that is calling for your attention with food or alcohol or any of the other ways our society deems acceptable. You want to feel it. To HEAL it. You don’t want to deny the quickening inside of you, by allowing your ego to stay at the helm, making you more ‘perfect’, more ‘certain’, more judgemental – because it makes you feel LESS ALIVE. So when will you be ready to find the courage to face your deepest darkest demons, to step forward into the unknown, to let your weird light shine so that you can truly be of service in the world? Surely NOW is the time to step boldly into the fire? I hold you through the careful and painful dismantling of all that is holding you back from becoming the luminous soul you have been lovingly placed here to be. Remembering your heart-song, your soul path, your reason for being here on Earth. So that you remember that although you have been rowing hard all your life to move forward, this was never a rowing boat that you were travelling in. You were never meant to make this journey under your own steam. This is a sailing boat. All you need to do is plot the course and adjust the sails. The wind is there to carry you home. You had forgotten her, but The Universe will welcome you with open arms, ready to fill your sails and take you wherever you wish to go. She has your back. She always did. I will simply and profoundly re-introduce you to that truth. I have been there. I know this terrain intimately and I survived to tell my story and live my truth. My passion is to guide you to do the same. I feel that all the work I have undertaken until now was merely training to bring me to the point where I am able to deeply serve you as you undertake your own version of this treacherous, beautiful journey. I am known for the depths to which I go with my clients, for the love and compassion I hold them in. I am in awe of the courage of the women who choose to work with me. I am deeply intuitive and this combines with my in-depth experience of coaching to create magic, alchemy. It is sacred work. There is no greater joy for me than seeing the courageous women I serve stepping into their power, passion and purpose and taking the place in the world that only they can fill. I give them back their freedom, and together we move beyond fear to create miracles in their lives. What Magical Transformation will we create? We live in a universe of infinite possibilities, and you are the creator of your version of that universe. When you step into this experience, you are sending out the message loud and clear that you are ready for transformation. You are ready to create any life, any experience you wish to draw towards you. So whether you choose to focus on abundance, your relationships, on finding and living your calling or on your life as a whole you will draw towards you the experiences you need to transform. You will become magnetic, enjoying a sense of ease, flow and connection that you can only dream of. As you make the decision to step fully into conscious adulthood you will heal, not only your own pain, but that of generations before you and generations yet to come. As you dare to let your weird light shine, to stand out and be heard you will make a ripple in the world. That ripple will combine with that of all the other women pioneering this new way of being to become a tidal wave of change. It’s time to reclaim your Feminine power, to take up the role in our society that only older women can play. It’s time to shake things up, rock the boat and make your unique mark on the world. With my expert guidance and the love and support of your sisters on Phoenix Rising you will become an unstoppable force, living a life of wisdom, authenticity and integrity with a good dash of crazy thrown in! You will become a more fully expressed version of who you truly are, with the sure and certain knowledge that you are right where you are meant to be. You will have answered the call of the Universe with a resounding YES and reached the paradise that is waiting on the other side. Phoenix Rising is an exclusive programme which allows me to deeply serve a small number of women who are ready to answer the call of their soul in a completely personal way. Only 12 women will come together to consciously navigate this mid-life journey. To dare to walk into the fire together and be reborn. You will be deeply held by myself and the sacred space we create together as you undertake this courageous work to reclaim your soul path and your authentic power. This is a sacred and intensive rite of passage taken over 9 months of the year. From autumn to the depths of winter and back into the light we will embark on this powerful, transformational journey, creating alchemy and awakening within us all. What Will Your Soul Experience? There is a magic that takes place when women come together with a clear intention to heal themselves and the world. Together we will create a safe, warm, loving container to practice being our fully authentic selves in all our messy, broken glory. We will speak our truth. We will experience the immense healing power of being held and being heard in whatever is our felt experience. Our three retreat weekends together will be about growth but also peace, rest, and giving your body what it needs to heal. We all feel exhausted at times, yet it’s living in resistance to our truth, our purpose that creates this tiredness, along with dis-ease in the body, tension, and ultimately pain. As you release these energy patterns and re-discover your heart-song during our time together, your energy will return. Receive Jane as your personal guide into the deepest, darkest territory of your being. Consciously navigate the stormy seas of mid-life with those who truly understand and empathise with your experience and who give credence to it. Find your own way of communicating with soul, and of flowing with life. Open yourself up to serendipity and magic! Discover a way of being in your own skin that is sustainable, healthy and full of joy. Be blessed with the power and magic of finding your sense of belonging in sisterhood. Be seen, heard and witnessed by a dozen other women. Be celebrated, accepted and loved as you are. Gain the courage to take the person you are becoming, circle back into your everyday life. Make deep and lasting connections that I hope, will last a lifetime. You are hearing the calling of midlife and know that you cannot navigate it alone. You are prepared to face your demons and find within them the superpowers you need to create the life your heart yearns for. You want to create and sustain a life that feels authentic and truly your own. You have been on your spiritual journey for many years and wish to take it to the next level. You want a truly bespoke service to help you to explore the depths of your being in a safe, creative and deeply nurturing way. You want to find a more Feminine way of being in the world, in balance with the cycles of nature and of your own body. You feel ready to take your service to a wider stage but fear and resistance are holding you back. You find yourself feeling lonely and craving deep connection with yourself, others and the Divine. You are ready to reclaim your power, meet your tribe and step forward into the world. You are willing to invest time, energy and money to get the expert guidance and support you need to consciously navigate through this completely new terrain. You are ready to create a life that feels truly your own, one that will nurture and sustain you for the rest of your days. You are ready to walk through the flames to rise like the Phoenix you were born to be and claim the gifts that are on the other side. Membership of an exclusive sisterhood. A group of women like you who are on a mission to reclaim their power and be a force for change in the world. A sisterhood that is supported by Jane’s expert holding of space to create magic and transformation for us all. Three intensive weekend residential retreats as a group in the beautiful Derbyshire countryside. Luxury accommodation with all food and workshops provided. A chance to meet your tribe, feel deep connection to your soul & nature and discover the transformation, magic and joy of being in a group of wise, wild, wonderful women. A fortnightly online circle with Jane and the rest of the group to share our truth, deepen our connection, and receive guidance, love and support. Membership of a Private Facebook Group only for the women on this program where you can share the deepest, most authentic version of yourself and where Jane will also be available to listen, hold and support you. An allocated listening partner in the group to hold you as the highest, most authentic version of yourself. 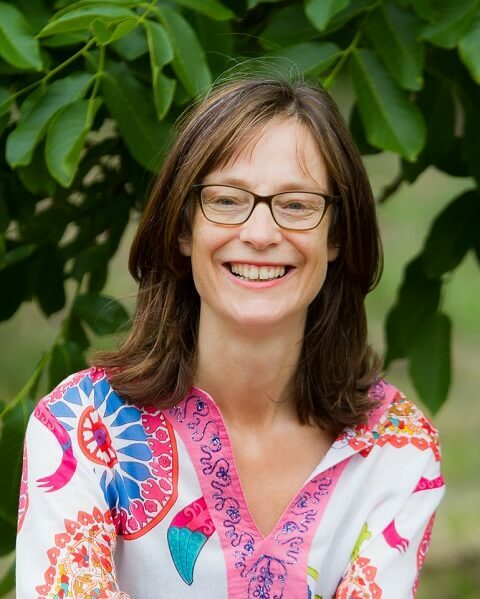 All the above plus exclusive access to an intimate and personal 2 hours soul midwifery session a month, one-to-one and taken in the nurturing space at Jane’s beautiful home and garden in the Derbyshire countryside or on Skype. Here we ensure that you are embedding your experiences into a grounded reality, transform that which is holding you back and connect more and more deeply with your True Self and your significant place in this vast universe. When you work one-to-one with me your life becomes ripe for miracles. I hold you energetically as the highest version of yourself for the entire duration of our time together. When I do this for someone miracles happen, life shifts on its axis. Your life lights up from the inside out. As your consciousness rises to this new frequency, life illuminates all the places where you are not living in alignment with your truth. Together we hold whatever arises until it creates transformation. This is a process of alchemy in action. Sign up for Phoenix Rising and be deeply held if you want to challenge yourself to live a more authentic life, if you’re prepared to be courageous and loving and kind to yourself. If you are willing to be challenged and tested both by me and by the Universe working through everyone and everything that crosses your path. This is not a journey for the faint hearted but I guarantee that it will transform your life. 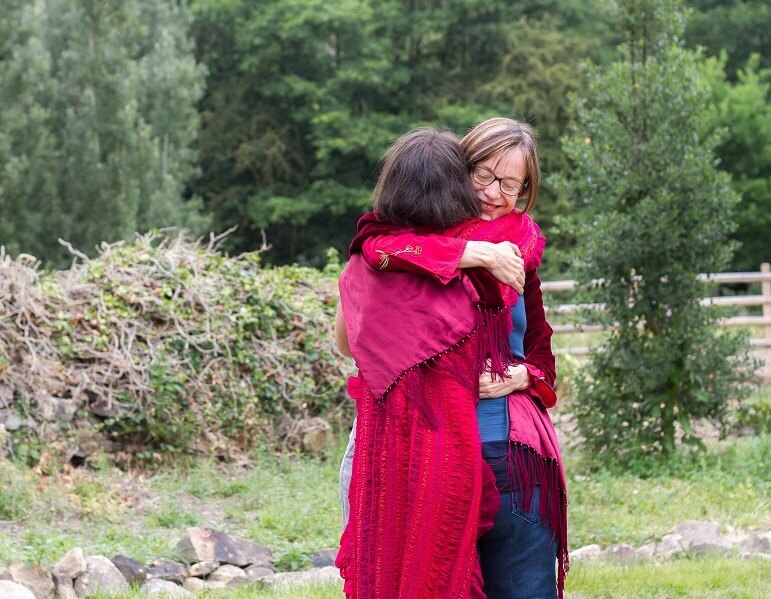 If you choose to be deeply held by me as you journey through the Phoenix Rising program you will be one of only a handful of one-to-one clients I work with at any time to ensure that I can fully hold you as the highest version of yourself. Energetically this is gold-dust. You will be on my personal altar and in my personal practise every day for the duration of our relationship together. Prepare to be amazed at the effect this alone has in your life. Expect miracles! I will tune into you daily and pass on any guidance I might receive. These intuitive hits are usually deceptively simple yet enormously powerful and they will be yours for the entire time we walk together. Deep dives into grief, shame, sadness, anger and other emotions you may find difficult. Somatic work using the body’s natural intelligence. Sessions outdoors; in nature, working with the 5 elements, walking and talking. Exploring your menstrual cycle and the cycles of the earth. Anything you need to find, feel and heal what is holding you back whilst moving towards your heart’s deepest desire. Over 9 months to fully embed the transformation into your day-to-day life. A Group Program to multiply the power, magic and support you will receive both now and in the future. Includes regular and ongoing 121 support as standard on the “Deeply held” option and as optional with “Supported” so that everything is unique and personalised to you. I believe in embedding change, otherwise it’s worthless. This will provide long lasting change. I guarantee it. This is me living my purpose and it’s what I excel at. Come and try a (fully refundable against Phoenix Rising booking) ‘Deep Dive’ experience so that I can prove it. Beautiful soul sister, there is no longer any choice – you HAVE to make time for you or you will break. If you choose not to answer this call of your soul, to remain where you are, to stay safe at home by the fire rather than walking through the flames, ask yourself, what will be the cost? This is the first time I am combining all my skills and expertise into one group offering – that of Phoenix Rising. I am thoroughly delighted and excited to be doing so! So, although I am very aware that the true value of this magical 9-month experience (the results from which last a lifetime) is in excess of £15,000, for this year only I shall be asking for less than half of that. For the most courageous amongst you, those who dare to say “YES” to joining this pioneering group of women in September 2019, to those who lead by choosing to go first, your investment will be only £795 per month for 9 months to be Deeply Held (or invest £6,360 upfront to receive one month completely free). To be Supported it’s even better value – just £395 per month or invest £3,160 upfront to receive one month completely free. You are my courageous pioneers and this once-in-a-lifetime opportunity to experience the magic of Phoenix Rising at this very special price, reflects my gratitude to you, as you choose to take the leap of faith with me. From 2020 the investment will rise to come into line with similar programmes offered by my teachers costing well over £15,000. No doubt your fear and resistance will rise again here with “how much? I can’t afford that!”. That’s OK, it’s to be expected. Yet I want you to remember that abundance is our birth-right. I have seen so many clients who have stayed in the wrong job because they are afraid to take the financial leap into something new. Yet as soon as they do, money appears from often completely unexpected sources. If you are meant to join me on this programme then this is what your soul came here to experience. You will know that in your heart. The deal is that the Universe takes care of your needs as you follow your calling – as long as you allow her to. It wouldn’t be much of a contract if we had to take all the risks for no reward! This Journey will only run once each year, and I am only able to accept 12 soulful women into this, my signature group program. So if you wish to walk into the fire and be reborn over this transformational 9 month journey, to open your wings to experience a full lifetime of transformation, please click the button below to book your call with me – there’s no obligation in doing so, but be sure to contact me and express your interest right NOW. Places are filling and I really don’t want you to miss your opportunity to change your life and experience your sacred transformation in 2019. If you were able to deeply commit to your personal and spiritual growth over the next 9 months, what might happen in your life? If you were able to say yes to the invitation from the Universe to be reborn? If you were able to be held and supported at every turn by an expert guide and by your companions on the journey, your sisters? This tribe of women who have your back and will walk through fire with you – all without needing to withdraw from your life, your responsibilities, and that which you love. What might you create? What might you heal for yourself and all the generations to come? How would it feel to live divided no more? Don’t forget – you can experience a Deep Dive Session now, and receive a full refund when you book your place on Phoenix Rising. Let’s walk into the fire together, & emerge to live our magical, most magnificent lives.